Who is who at Lutra? 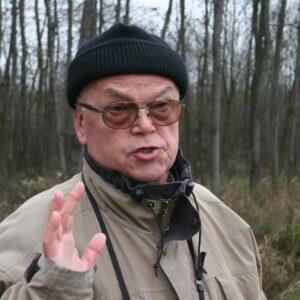 Director of the Institute Lutra, former Professor of subject Ecology, wildlife and hunting-economic planning at the Department of Forestry and Renewable Forest Resources at Biotechnical Faculty in Ljubljana, has in retirement even more sharply sharpened its spears and vocabulary. He shows no mercy to thoughtless planners nor to state bureaucrats, what we often feel bitter in fight for tenders. But we are glad for that. Nature did not select us for the defenders, but we chose nature because it is too often an exploited victim. Therefore, we follow strictly considered professional and scientific knowledge and high ethical standards set by director.